George Mason University is offering a Summer Program in International Security for professionals, students, and faculty in related fields to get up to speed on a range of important topics in terrorism; chemical, biological, radiological and nuclear (CBRN) weapons; and global health security. 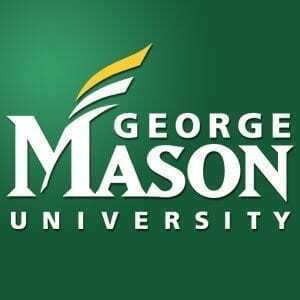 Courses are taught by world-renowned experts from the Mason faculty, as well as from the private and public sectors. The program is divided into three weeks, each of which focuses on a different “big” topic in the dynamic world of international security. Each week is composed of a three-day course that sets the stage for the week by taking a high-level look at the topic, followed by a two-day course that delves deeper into specific aspects of the topic. Participants are welcome to take just one course but the program structure makes it possible to combine courses to cover more ground efficiently. Participants may find it particularly useful to plan on attending both courses in a given week. Discounts are available for anyone registering for multiple courses. Discounts are also available for previous summer course attendees, groups of 3 or more from the same organization, and Mason alumni. A discounted registration rate is available until May 15. The program attracts professionals from the full spectrum of public and private sector backgrounds, both domestic and international, and provides opportunities for participants to socialize and build relationships. The Summer Program in International Security is designed for professionals and academics from all backgrounds whose responsibilities intersect with the realm of international security broadly defined, including those responsible for preventing, preparing for, responding to, or predicting threats posed by terrorism, the proliferation of weapons of mass destruction, and/or pandemics. Past participants have included policy makers; security analysts from the government, private sector, and non-government organizations; executives from private industry; public health officials; law enforcement officers; homeland security and emergency management practitioners; military personnel; researchers in the life sciences; media professionals; and academics from many disciplines. To learn more about the Summer Program in International Security and individual courses, including how to register, please visit the George Mason University website.